Tips to prepare your Thanksgiving feast safely. Photo by: Thom W, via Free Images. Garden City, NY - November 20, 2015 - Cooking is the leading cause of home fires throughout the United States, and Thanksgiving sees more such fires than any other day of the year. According to statistics provided by the National Fire Protection Association, there were 1,550 home fires across the country on Thanksgiving in 2013, a full 230% above normal. With this in mind, the Nassau County Firefighters Museum & Education Center offers Long Islanders tips and guidance in order to ensure a safe and happy holiday. Unattended Cooking - the leading cause of fires in the kitchen: Stay in the kitchen while you are frying, grilling, or broiling food. If you leave the kitchen for even a short time, turn off the stove. If you are simmering, baking, roasting, or boiling food, check it regularly. Remain in the home while food is cooking, and use a timer to remind yourself that you are cooking, as guests, phones, children, pets and other activity can easily distract a cook. Objects near the cooking catching fire: Clothing ignitions lead to approximately 16% of home cooking fire deaths. It is important to wear short, close-fitting, or tightly rolled sleeves as loose clothing can dangle onto stove burners or gas flames and catch fire. Keep the cooking area clean and combustible materials away from your stove top: built-up grease as well as oven mitts, food packaging, wooden utensils, towels, curtains and other materials on or near the stove can catch fire. Cooking equipment unintentionally turned on or not turned off. Be on alert! If you are sleepy or have consumed alcohol don’t use the stove or stovetop. Have children turned the stove on? 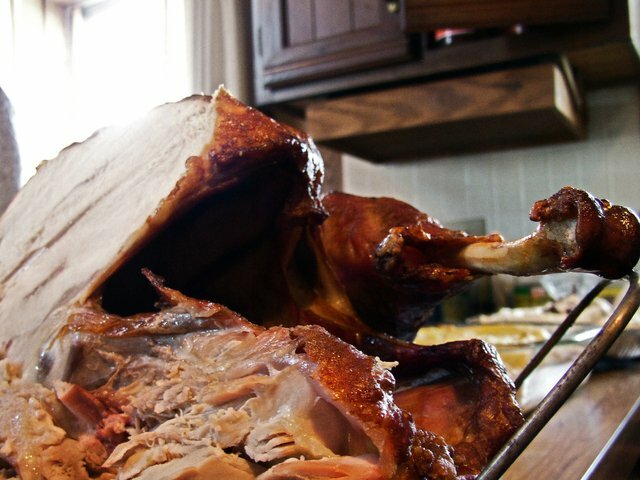 Deep-frying turkeys: Turkey fryers that immerse the turkey in cooking oil at high temperatures pose a significant danger of hot oil being released or spilled during cooking, leading to devastating burns, other injuries and property destruction. Hot cooking oil exposed to water or outdoor elements: If rain or snow strikes hot cooking oil in propane-fired turkey fryers designed for outdoor use, the result can be a splattering of the hot oil or a conversion of the precipitation to steam, which can lead to burns. Frozen and defrosting turkeys also create the risk of contact between water and hot cooking oil, which can cause severe scalding or other serious injury. Never fry a frozen turkey. Please click here for more information from the NFPA concerning the dangers involved. Do not use water to put out a grease fire. Use an appropriate fire extinguisher, or baking soda, salt, or a tight lid. Keep the lid nearby when you’re cooking, to smother small grease fires. Smother the fire by sliding the lid over the pan and turn off the stovetop. Leave the pan covered until it is completely cooled. Always keep a box of baking soda near the stove. Subject: LongIsland.com - Your Name sent you Article details of "Nassau County Firefighters Museum & Education Center Provides Simple Steps to Ensure an Accident-Free Holiday"